After graduating from Colorado State University with her degree in Equine Science in 2007, Dr. Laura Veals directed her focus to small animal medicine and became deeply passionate about animal welfare after her work experiences in shelter medicine. Inspired to reach out further, Dr. Veals attended a two-week trip with the HSVMA Field Services group to the White Mountain Apache Reservation in Arizona during the winter of 2010. While helping the veterinary team offer medical care to local pets, a stray female dog wandered into the clinic, wagging her tail, and found a ride home with Dr. Veals all the way back to Colorado! After this trip, she knew the time had come to answer the call to become a veterinarian. Dr. Veals attended Ross University School of Veterinary Medicine in St Kitts, after which she completed her senior clinical year at Colorado State University. After graduation in 2014, Dr. Veals treated small animals and exotics near her hometown of Boulder, Colorado. In April of 2018, she joined Habitat Veterinary Hospital with a goal to bring pets and their families closer together to live healthier, happier lives through high-quality care. Her passion for integrative medicine, acupuncture, physical rehabilitation, ultrasound, exotics, and hospice care have inspired her to constantly seek out continuing education opportunities, hands-on labs, and professional lectures and seminars. 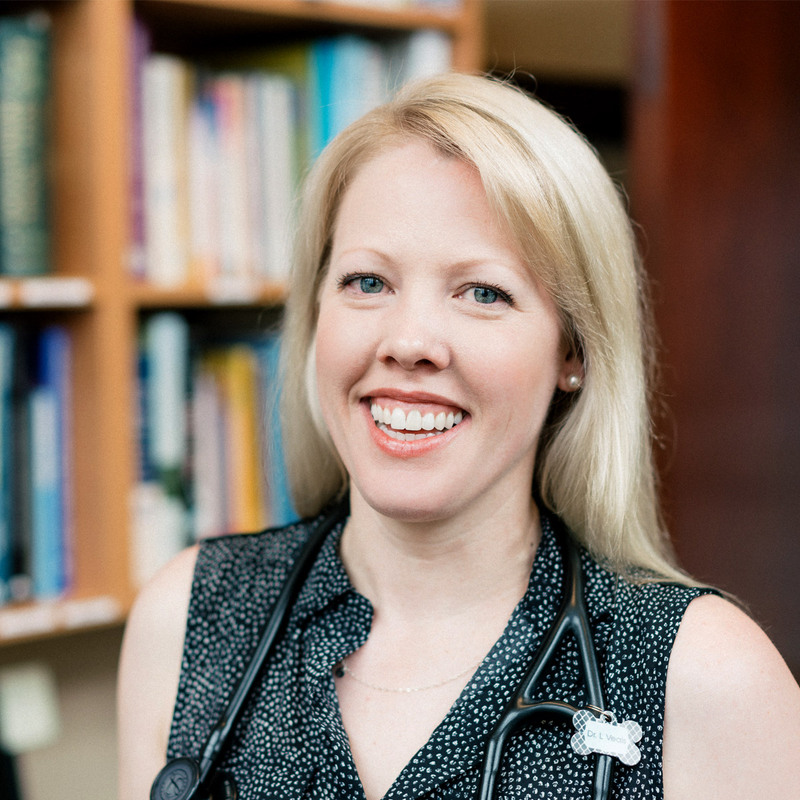 Dr. Veals currently lives in Boise with her husband, Steve, and their two rescued dogs, Buddy and Arizona (the former stray who found a ride to Colorado!). In her spare time, she enjoys reading fiction novels, creative writing, voiceover acting and recording, camping and fly fishing with Steve, stand-up paddle-boarding, and traveling the globe in search of adventure.